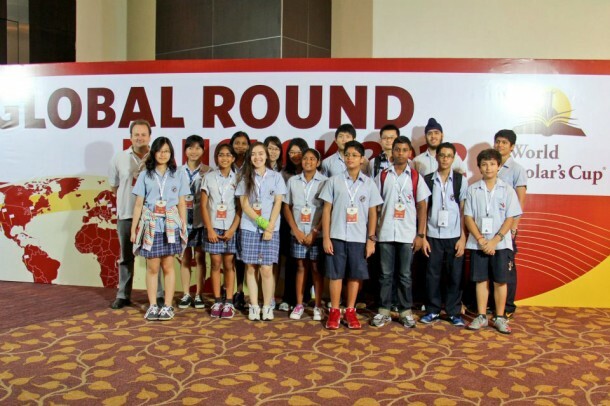 Visit our Facebook album for more photos of the 2012 Global Round of the World Scholar’s Cup. Yet the success of the Wells teams at the regional round came with the knowledge that much stiffer competition awaited at the global round, hosted at Bangkok Patana and the Bangkok Convention Center in CentralWorld. Dwarfing the previous two competitions in Shanghai and Kuala Lumpur–where the Wells competitors received numerous gold medals–the 2012 Global Round set a new record with over 1,000 participants from over a dozen countries, including the top-seeded team from the United States. In typical form, Wells made a mark not only in the awards received, but also the positive way in which it represented Thailand as the host country. 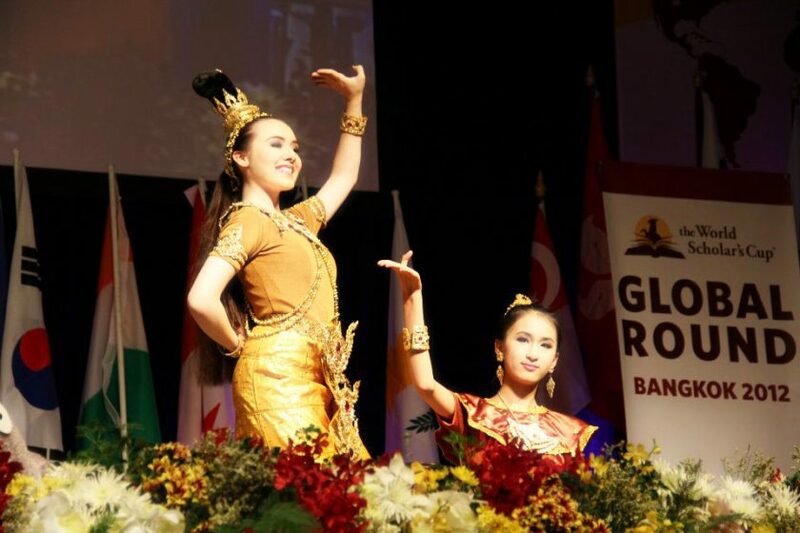 Beginning with the flag march, in which defending national champion Akhil carried the Thai flag, the Wells students served as ambassadors for their nation, making new friends and even performing a traditional Thai dance for the closing ceremony. When the competitive events began, however, the Wells teams came out in full force. 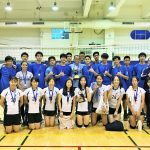 Though the field was again dominated by the Singaporean teams, the struggle for the remaining prizes was fierce among the Thai participants, which included teams from Concordian, NIST, Bangkok Patana, Bromsgrove, KIS, Anglo Singapore and St. Andrews. Yet by the end of the final day, the students had again amassed several awards. Led the top scorers from the junior and senior teams, Ranuli Illankone and Akhil Shanishetti, Cathy Shang Kuan received a silver medal in literature in the Scholar’s Challenge, and Gautham Giri a bronze in science. Most impressive were the results from the veteran debaters. Out of over 150 senior teams, the team of Harjas Anandsongvit, Amira Lukens and Boan Shang Kuan netted fourth place overall, and Harjas became the 2012 debate champion, receiving the sole individual gold medal awarded in that event! Over the past three years, the World Scholar’s Cup has grown exponentially, gaining a worldwide reputation as one of the premier academic competitions. 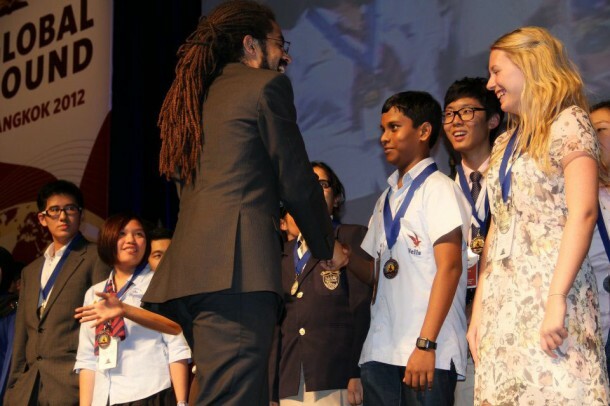 Founder Daniel Berdichevsky–seeking to expand it further–collaborated with the U.S.-based Academic Decathlon this year to send the best students from both events to a Tournament of Champions, to be held at the prestigious Yale University in September, 2012. 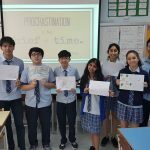 Based on their excellent performances at the global round, all three of the Wells senior teams–along with one from Anglo Singapore and one from KIS–have been selected to represent Thailand at Yale. [Ed. note: The WSC team contacted Wells on July 5th to inform us that a mistake had been made, and all three Wells teams had qualified. 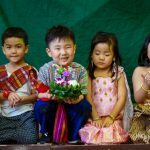 Wells will thus be fielding three of the five teams from Thailand!] With a national championship and debate championship under their belts, the Wells scholars will undoubtedly do us proud once again. Good luck! 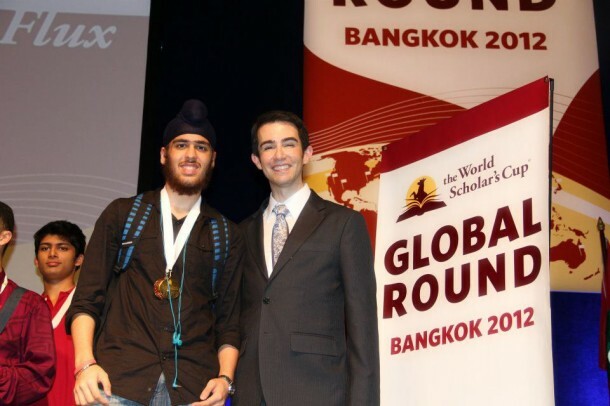 For full results of the 2012 Global Round of the World Scholar’s Cup and a list of participants for the Tournament of Champions, read the official announcement at the World Scholar’s Cup website.